After 18 years leading high school students in theological inquiry, Elizabeth Corrie issued a provocative challenge to her alumni this past summer. She pledged a leadership-level gift of $3,000 and dared them to match it within a month to benefit their common cause: scholarships to the Youth Theological Initiative (YTI) Summer Academy, which cultivates future theologians. Corrie directs YTI and is associate professor in the practice of youth education and peace building at Candler School of Theology. Most students who have gone through the program know her. Making it personal was the key to an overwhelming success for the 30-day online project, one of the first on Emory’s Momentum crowdfunding platform. Corrie and others consistently updated the campaign with videos made on smartphones. They suggested gift levels to demonstrate the kinds of program needs donors could help meet: For example, a gift of $25 could provide a Bible for a program participant, and a $1,000 gift could help cover meals and housing for three weeks. The first week, donors surpassed the goal of matching Corrie’s leadership-level contribution. Corrie’s challenge inspired one donor—YTI board member and program alumnus Richard Gurley, who is now a health care executive—to issue a second challenge of the same size. By the end of the month, 78 donors had given $6,260. 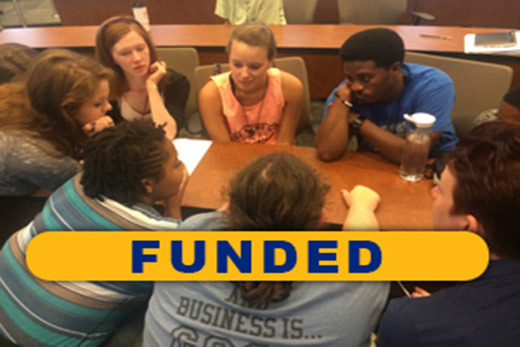 With Corrie and Gurley’s matching funds, the project resulted in $12,260 for scholarships to benefit high school participants in the next Summer Academy, scheduled June 26-July 16, 2016. The project showcased the potential of Momentum, which was established to support programs, projects and initiatives that are meaningful to members of the Emory community and beyond. Recent projects include modernizing the Emory Wheel student newspaper; honoring students who fought against discrimination at Emory, through the work of a group of Laney Graduate School students in Jewish studies; a matching grant to help preserve the LGBT collections at the Manuscript, Archives, and Rare Book Library (MARBL). Momentum encourages donors to "give to what gets you going," and will include Emory fundraising projects championed by employees, students and other volunteers who apply to the Office of Annual Giving for inclusion on the site. Like the YTI project, Momentum projects will typically have goals ranging from $5,000 to $15,000 and will have a timeframe of 30 days to meet the goal. Donations are fully tax-deductible. “It affirmed my belief that like most projects, philanthropy is more fun when you are collaborating with others toward a common goal,” says Corrie. “I also learned that people really do want to see the ticker reach the goal; people derive extra satisfaction from putting the whole group over the top."